The versatility of braided PTFE hoses cannot be ignored and they have transformed modern living and business. They are number of sizes and types and can be found everywhere right from manufacturing plants to homes. Still wondering which hose assembly pipe to choose? Then you may certainly choose PTFE braided hose. Check out 10 reasons why you should select PTFE braided hoses in your manufacturing hoses. PTFE hose is made of woven stainless steel reinforcement and hence preferred over the regular hose tubing. This reinforcement adds to the overall strength of the pipe. 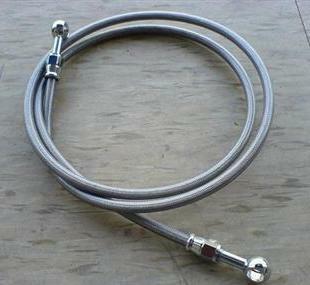 PTFE braided hose surpasses most other hoses as they perform well under high pressure. Most hose pipes transform under the condition of extreme weather conditions, but it is different with PTFE braided hose as it is resistant to most of the common chemicals available in the market today. PTFE braided hose is also resistant to most of the common chemicals available in the market today. The only exceptions to the rule are molten alkali metals and halogenated chemicals which makes this kind of braided perfect for different kinds of manufacturing. Even moisture cannot impact these kind of pipes. PTFE also does not impact the smell, taste, or colorof any chemicals and hence has got the stamp of approval by FDA. PTFE braided hose assemblies are offered protection against fire and thus are and hence are chosen for fire extinguisher systems and pressure gauge lines. The hose can also be further protected from high heat environments as a heat sleeve is provided over the stainless steel braid reinforcement. The reinforcements of the stainless steel braids make it easier for the hose to be utilized in motion and vibration processes enhancing its durability. The hose can be bent considerably, depending on size and overall construction: smooth-bore, convoluted and, or outer covers. The chemical compounds within PTFE braided hoses are completely resistant to sticking, and hence they are resistant to damage from the chemicals that it transports. Since you mentioned that PTFE SS brake hoses are versatile, I also think they can be used to transfer gases and liquids that we are using in the factory. I do agree that they are temperature resistant as you pointed out which makes them a good product to buy if I ever find some online. I like that that they are resistant to most chemicals as you stated which means I can use them for most chemicals I’ll use in the factory. Hi Sariah, thank you for your comments. We are manufacturing PTFE hoses for transferring gas & liquid mediums too.